Adam Goodheart: Looking At The Civil War 150 Years Later Tuesday marks the 150th anniversary of the start of the U.S. Civil War. Historian Adam Goodheart explains how national leaders and ordinary citizens across the country responded to the chaos and uncertainty in 1861: The Civil War Awakening. The first shots of the American Civil War were fired 150 years ago in the Charleston, S.C., harbor. Less than two days later, Fort Sumter surrendered. It would take the Union army nearly four years to bring the coastal fortification back under its command. On Fresh Air, historian Adam Goodheart explains how national leaders and ordinary citizens responded to the chaos and uncertainty in the days and months before and after the struggle at Fort Sumter, an almost-bloodless two-day battle that became the start of the Civil War almost by mistake. "[At Fort Sumter] the Southerners thought that they would be able to drive the Yankees off of Confederate territory, and [they thought that] the North would feel like it wasn't worthwhile to fight to bring the South back into the Union," says Goodheart. "Suffice to say, they miscalculated hugely." 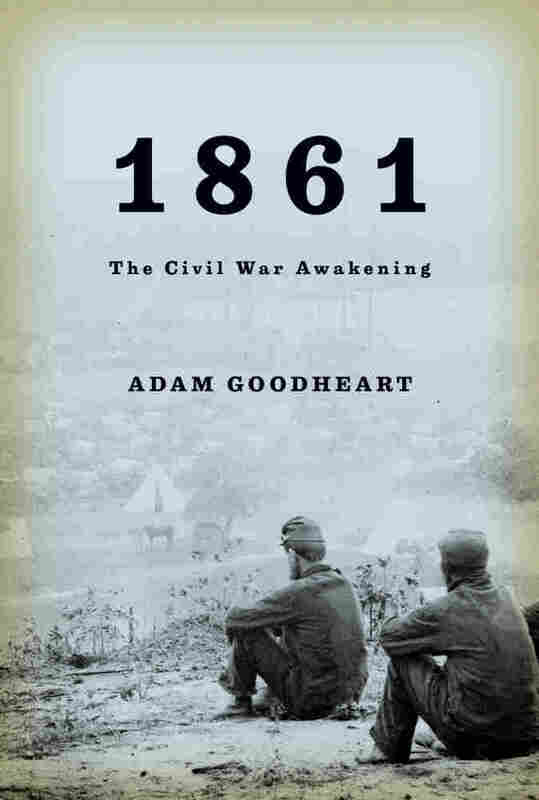 Goodheart is the author of 1861: The Civil War Awakening, a social history of the earliest days of the Civil War, a time when the country — soon to be two separate nations — was preparing itself for battle. He chose the year 1861, he says, because there were so many uncertainties all over the United States. "When we think about the Civil War today, we see the entire arch of the struggle — sort of a great epic struggle — ending, of course, with the martyrdom of Abraham Lincoln," he says. "But by taking the one particular moment when everything was uncertain — when everything seemed to change overnight — I wanted to recover that sense ... of not knowing what's going to come next. And people didn't know in 1861 what was going to come next." 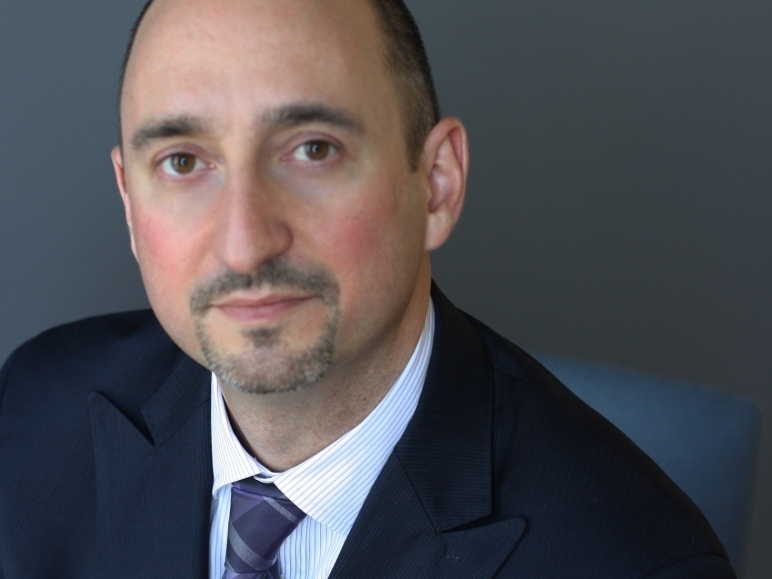 Adam Goodheart is a historian and journalist. He contributes to the "Disunion" column for The New York Times, which follows the Civil War as it unfolded 150 years ago. He has also written for National Geographic, Outside Magazine, The Atlantic and The New York Times Magazine. Adam Goodheart is the director of the Center for the Study of the American Experience at Washington College. "When you go back and you look at the actual documents, many people have said since then that it was about states' rights, but really the only significant state right that people were arguing about in 1860 was the right to own what was known as slave property — property and slaves unimpeded — and to be able to travel with that property anywhere that you wanted to. So it's clear that this was really about slavery in almost every significant way, but we've sort of pushed that to the side because of course we want to believe that our country is a country that's always stood for freedom. And ... certainly it's difficult for some Southern Americans to accept that their ancestors fought a war on behalf of slavery. And I think that Northerners really, for the cause of national reconciliation, decided to push that aside — decided to accept Southerners' denials or demurrals." "I think the South is changing a lot today, even from where it was just a few years ago. Some of the deep genesis of my interest in this subject came about 10 years ago when I traveled through the Deep South, visiting plantations and plantations that had become historic sites. And I found there was this great collective amnesia going on. I visited one plantation in Natchez, Miss., where the slave cabins had been turned into guest rooms at a bed and breakfast, and there were Jacuzzi bathtubs in these places, and it was this incredible example of redecorating the past away. But I think even 10 years later, when you travel through the South and you visit these historic sites, there's an increasing willingness to engage with the slave past." "In 1913, there was an anniversary celebration at Gettysburg — the anniversary of the 1863 battle — and they brought these Northern and Southern veterans together, and the Confederate and Union vets embraced one another. There are some wonderful photographs, and they're holding Union flags and Confederate flags, and Woodrow Wilson went and gave a speech, saying that the 'old quarrel has been forgotten.' Well, it's very symbolically significant that excluded from that reunion were the black veterans. They were not even invited to participate. That part of the Civil War history was, for a long time in this country, simply pushed aside and erased almost completely." It was a day unlike any the city had known before. Half a million people, or so the newspapers would report, crowded the streets between Battery Park and Fourteenth Street. If you were there among them that day, the thing that you would never forget — not even if you lived to see the next century — was the flags. The Stars and Stripes flew above the doors of department stores and town houses, from Bowery taverns and from the spire of Trinity Church, while Broadway, the New York Herald reported, "was almost hidden in a cloud of flaggery." P. T. Barnum, not to be outdone, especially when he sensed an opportunity for attention, had strung an entire panoply of oversize banners across the thoroughfare. The national ensign even fl uttered, in miniature, on the heads of the horses straining to pull overloaded omnibuses through the throngs on Fifth Avenue. The one flag that everyone wanted to see— needed to see— was in Union Square itself, the unattainable point toward which all the shoving and sweating and jostling bodies strove. No fewer than five separate speakers' platforms had been hastily erected there, and every so often, above the ceaseless din, you could catch a phrase or two: "that handful of loyal men . . . their gallant commander . . . the honor of their country . . ."
If you managed somehow to clamber up onto the base of a beleaguered lamppost and emerge for a moment above the hats and bonnets of the multitude, you might glimpse what was propped up on the monument in the center of the square: cradled in General Washington's bronze arms, a torn and soot- stained flag on a splintered staff. (One hundred forty years later, in an eerie echo of that long- forgotten day, a later generation would gather around the same statue with candles and flowers in the aftermath of another attack on the nation.) Nearby, waving a bit stiffly to acknowledge the cheers, was a lean, gray-haired officer.1 But then you lost your tenuous foothold, the gray- haired officer and his flag vanished from sight, and you were down off the lamppost again, buffeted this way and that by the odorous masses of New Yorkers, ripened by exertion and by the sunny spring day: Wall Street bankers in black broadcloth; pale, flushed shopgirls; grimy men from the Fulton docks, more pungent than anyone else, smelling of fish. It was hard to imagine anybody swaggering through such a crowd, but here came someone doing just that— and not just one man but three abreast, nonchalant young toughs all dressed in identical, baggy red shirts. One had a fat plug of tobacco in his cheek and looked ready to spit where he pleased; another fellow none too surreptitiously pinched the prettiest of the shopgirls as he passed. Somehow, by common consent, the pressing throngs parted to let them through. They all knew exactly who these superior beings were: the fire b'hoys. And as of today, no longer simply that, either — for these b'hoys had signed their enlistment papers yesterday, and were very shortly to be sworn in as soldiers of the First New York Fire Zouaves. On the way home after the great Union rally, you might have seen many more of them, over a thousand red- shirted recruits, crowding a park just off Fourteenth Street, arrayed in rough military formation. Uncharacteristically quiet, even subdued, they raised their brawny right arms as their colonel, the man they had just unanimously elected to lead them into war — for such was the custom still, in those early months of 1861 — administered the oath. The young colonel — he seemed, from a distance, barely more than a boy — was, unlike all his thousand-odd comrades, not a New York City fireman. He was not even a New Yorker, unless one counted his childhood far upstate. He was different in almost every way from the strapping men of his regiment, with their loose limbs and salty tongues: a small man, neat and self- contained, who never drank, or smoked, or swore. He thrilled to poetry as much as to the tattoo of drums; he had dined at the White House more often than in taverns or mess halls; and he had come not from the teeming wards of Brooklyn but from the West. He was also one of those occasional American figures whose death, even more than his life, seemed to mark the passing away of one era and the beginning of another. He would be, briefly, the war's most famous man. And for that moment, the entire conflict, the irreconcilable forces that set state against state and brother against brother, would seem distilled into — as one who knew him well would write — "the dark mystery of how Ellsworth died." Like so many Americans of his generation, Elmer Ellsworth seemed to emerge out of nowhere. This wasn't quite true, but almost. In later years, some would swear they had roomed with him in a cheap boardinghouse in Washington, long before he was famous; or been his classmate at a high school in Kenosha before he suddenly dropped out and disappeared; or known him living up among the Ottawa Indians near Muskegon, where the tribe had adopted him as its chief. But no one was ever quite sure. Odd remnants of his diaries would eventually turn up. And his parents, at least, who would long outlive him, eventually shared everything they could recall of his boyhood. He had left home early, though. There were few enough opportunities for him there. Ellsworth was born in the year of the country's first great financial depression, 1837, in the small village of Malta in Saratoga County, New York. His ancestors had settled nearby before the Revolution, but the family was poor. Ephraim Ellsworth, the boy's father, had struggled as a tailor until the Panic ruined him, forcing him to eke out a living doing odd jobs, netting wild passenger pigeons to sell for their meat, and peddling kegs of pickled oysters door- to- door on commission. His son, serious- minded and small for his age, was sent off at the age of nine to work for a man who owned a general store and saloon. Scrupulously, the boy refused to handle liquor or even—as his master expected — to rinse out the customers' whiskey glasses. In a world where drunkenness was common (among children, too), he had already resolved to be different. His early life, Ellsworth would write as an adult, seemed to him nothing but "a jumble of strange incidents." He was a child who seemed to live half in the gritty reality of his physical surroundings, half in a dream world of his own creation. Sometimes he cadged paint from a wagon shop in the village and daubed scenes onto a scrap of board or an old window shade. One of these has survived; it shows a forest- fringed river that might have been the nearby Hudson but for the turrets and spires of Arthurian castles rising along its banks. In summer, he wandered among the "green old hills" above the actual river, and in winter, he skated on the Champlain Canal, perhaps developing there the ease of movement that would later mature into a kind of balletic grace. His schooling must have been intermittent, and when he did attend, he was often teased; the other children nicknamed him "Oyster Keg," on account of both his size and his father's ignominious occupation. The boy learned to defend his honor with his fists. Occasionally, though, the larger world offered glimpses of a reality nearly as glamorous as his painted fantasies. Malta lay astride the road to Saratoga Springs, a watering place popular with the officers and cadets of West Point, and in summer, the sprucely uniformed soldiers (with fine young women at their sides) must have passed through the village in hired carriages on their way to the nearby resort. For the watchful boy, the sight must have seemed a visitation from an imagined country. Many years later, Ellsworth's aunt would recall him making forts out of loose bricks and shaping mud into breastworks; wooden blocks represented American soldiers and enemy redcoats. His grandfather, George Ellsworth, had been a teenage militiaman in the Revolution, and although George's pension application from the 1830s reveals that he was illiterate — he signed the document with a quavering X— it also shows that in old age he could still recount vivid tales of battling Tories and Indians along the Hudson Valley.6 Elmer's grandfather died when the boy was not yet three, but the old veteran's widow survived him by many years, and probably shared the stories she knew. The rocky slopes and tidy Dutch towns above the Hudson seemed themselves to tell tales of the many famous deeds they had witnessed. A boy with Ellsworth's active imagination, looking out over the placid landscape of fields and pastures, must sometimes have felt as if the cannons were still booming and the tomahawks still flying in the forests, somewhere over the next line of hills. When the boy was about eleven, his family moved to Mechanicville, a larger town with its own railroad station. Peddling the New York papers through the aisles of the crowded passenger cars, he must have scanned reports of the Mexican War and its aftermath, and of the liberal, nationalist revolutions in Europe, some of them sparked by student agitators not much older than he. Perhaps because of these colorful stories in the penny papers, or perhaps from his boyhood sightings of West Point cadets, Ellsworth's dreams had early on taken a military cast. He organized the local boys into a militia company and somewhat grandiosely dubbed it the Black-Plumed Riflemen of Stillwater, the name stolen from a pulp novel he'd read about the Revolutionary War. Soon he was absent from home with increasing frequency, until finally, latching onto a prosperous- looking elderly gentleman who'd taken an interest in him one day on the train, he followed the stranger off to New York City to work in his linen shop. This is where the biographical record suddenly stops. But we do know that he turned up eventually—as perhaps he was bound to—in Chicago. That town was in its restless adolescence in the 1850s, a half- wild place where patches of prairie still showed like blank canvas among the two- and three- story office buildings, and the occasional wolf still strayed in from the forested shores along Lake Michigan, to prowl the muddy streets and plank sidewalks. Restless, too, were the young men who roamed lean and hungry along those avenues of flimsy buildings. From villages in Ohio and western Pennsylvania, from New York and the stony farms of New England, from Germany and Ireland and Sweden, they crowded into the rising metropolis of the great West. Some found work in the sawmills that ran incessantly, gnawing virgin timber into clapboard and railroad ties; others amid the stench of the stockyards. Sometimes the tideless river ran viscous with the blood of slaughtered beasts. A year or two before the outbreak of the war, Elmer Ellsworth was one of these thousands of young men, clerking and copying papers in a law office for meager pay, living on dry biscuits and water, sleeping on the bare wooden floor. It was a life so spartan that when he could get a pound or two of salted crackers to vary his diet, the occasion was worthy of note in his diary: "Am living like a King." It was a statement of characteristic, wildly unrealistic, optimism. Through all the years of roving, wherever they had taken him, he had never lost his boyhood dreams of glory. In his free time, Ellsworth pored over volumes on military tactics and drill formations until he knew some of them by heart. Not long after his arrival in Chicago, he also joined a local militia, the Cadets of the National Guard, one of many such groups that drew in young men far from home and family, worn thin from hard work and striving, looking for anything solid to which they could fasten themselves. Today, in an era of full-time, highly professionalized national armed forces, it is hard to appreciate the vastly different culture of the nineteenth century, when for most Americans, volunteering for military service was more like joining a weekend bowling league than enlisting in the army as we know it. The colonial militia companies, which had provided the rank and file during the Revolution, had faded away in the succeeding decades, especially after the War of 1812 had proven them no match for the British army's hardened veterans of the Napoleonic campaigns. But the Founding Fathers' old vision of a United States without standing armies, in which citizen- soldiers were the first line of defense, still beckoned. In both cities and towns, men formed military companies that stood ready— at least in theory— to answer their country's call in case of emergency. In practice, most of these units were scarcely trained and haphazardly equipped; some marched with sticks or cornstalks instead of muskets. Members paraded on the village green every Fourth of July, unfurling tattered banners that had been stitched by local maidens who were now wrinkled grandmothers. The last serious mobilization had been the one back in 1812. Each month or two throughout the year, the boys gathered for "drills" that were often simply excuses to get away from home and do some hard drinking. Larger towns and cities had rival companies: one militia for the Democrats and another for the Whigs; one for the Methodists and another for the Presbyterians; one for the Irishmen and another for the Germans. New York City even had several all- Jewish units. In the 1850s, however, Americans started becoming a bit more serious about their militias, marching in drills and parades with fresh ardor, and even making sporadic attempts at professionalism. The Mexican War, the nation's most dramatic military victory since the Revolution, had just been fought and won. From Europe came reports of the glorious charges and sieges of the Crimean War, and of the nationalist struggles for independence. And closer to home, some Americans were sensing the approach of civil war and beginning to sharpen their swords — in both the North and the South. 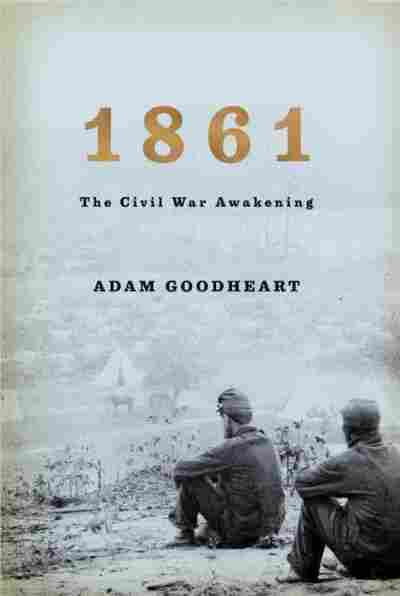 Excerpted from 1861: The Civil War Awakening by Adam Goodheart. Copyright 2011 by Adam Goodheart. Reprinted by permission of Knopf.